Fear! And How To Cope…. “On the outside, I am an extroverted, sometimes over-the-top cheerleader for my portfolio companies. The Startup Factory (TSF), the accelerator I run, has 31 investments. But I have a secret. I worry. I worry a lot. At its core, my worry is all about fear. What do I fear? I am afraid that my investments are bad and I won’t return capital back to my investors. I am afraid that my reputation (whatever that is) will be crap and I won’t be taken seriously. I am afraid that I will have wasted three, four, five years for no gain. Ultimately, I am afraid that I will be a failure. Again. Why me, you might ask? I have had success. I co-founded MapQuest, served as the president of Rand McNally, and worked as a corporate venture capitalist. Now I operate one of the best seed investment funds in the Southeast. But I have had real failures as well. In the late 1990s, I spent a year raising investment capital to roll up and combine a handful of map publishing companies that never materialized. I was brought in as an executive (along with a CEO I had worked with before) of a multimillion-dollar software company that was losing millions a year. We got close to rescuing the company before the recession hit us hard. It is a shell of its former self today. The Startup Factory is on its third iteration. You want full transparency? I feel like the successes were lucky and that the failures were entirely my fault. I think about it every day. And I worry. I’m not the only one, of course. Everyone worries. The difference is I now know how to cope with my own insecurities. Take credit for the good, along with bad. Ultimately, with age, I have come to realize that I had something to do with both the successes and the failures. There it is. I said it out loud. I am responsible for the successes. I earned that. My brain, my experiences, my personality, and my drive can make positive things happen. This is a positive building block for my own daily psychology. Develop a support system. A few years ago, a very close friend and I were talking about this issue and how our brains naturally took us to the dark place (we have a code for it–ask me sometime). We were lamenting how peers we knew had seemed to naturally transcend our demons, and we committed to helping each other. We developed a trick for me. I was raising capital for the first iteration of TSF and I would call him before each meeting. He would ask me one question: “Who’s the king?” My answer: “I am the king!” Corny, but I like to think it helped put me in a different frame of mind. My goal, every day, is to find my way to the other side. Loved this from Inc Magazine. Do you have these ‘toxic workers’ in your company killing productivity? In the animal kingdom, the Chameleon changes color in order to escape notice. In the business world, the chameleon changes roles in order avoid work. He volunteers for (or gets himself assigned to) multiple teams and working groups. He then uses that fact to justify never taking an action item within any of the teams because he’s “stressed to the max” due to the “huge workload” that he’s taken on…in other meetings. When salary review comes, the Chameleon claims credit for “helping” all those teams achieve their goals. The best way to deal with a Chameleon is to assign specific projects that require the Chameleon to work solo and have ambitious deadlines. Use surprise “status update” meetings, to prevent the Chameleon from getting other people to do the work. Male Ornaments have the tall, square-jawed, perfect-hair, perfect-suit appearance that immediately identifies them as authoritative and business-like. (Think Mitt Romney, but without the high IQ.) If you can’t fire an Ornament, put him or her in a “face the public” job where good looks are actually an asset to the company. For example, both the female and male Ornaments mentioned above were quite effective as “demo dollies” at trade shows. In history, a ball and chain was a weight clamped around a prisoner’s leg so that he couldn’t run fast enough to escape. In business, a Ball and Chain is a person inside an organization whose job is to ensure that the company never takes risks, a.k.a. a corporate lawyer. When asked whether or not the company should try something new, a corporate lawyer will always say no, because if things go right, the lawyer gets no credit, but if things go wrong, the lawyer gets blamed. Corporate lawyers are also adept at creating legal red tape, ostensibly to lessen risk, but also to strengthen their stranglehold over the organization. If left unchecked, they can gum up the works so that it becomes impossible to do anything at all. THE Citizens Economic Empowerment Commission (CEEC) has set aside a total of K6 million for the establishment of the Zambian tourism franchise. Players in the local tourism sector would be eligible to access the loans through CEEC to set up tourism franchising. CEEC Head of communication and public relations Glenda Masebe said the funds would be used to promote a special initiative for international standards in Zambia’s tourism industry by supporting targeted citizens to establish franchise tourism businesses. In a statement issued in Lusaka, Ms Masebe said the commission would consider investments in tourism which include hotels and lodges, restaurants, water sports, theme parks, take aways, travel and tours, cinema, and any other. “This special initiative will be implemented initially in Muchinga, Southern and Western Provinces and each province has an allocation of K2 million to citizens wishing to tender for franchising support. “The maximum loan repayment period for this initiative shall be 5 years at an annual interest rate of 12 per cent,” Ms Masebe said. She said the provision of collateral would be a strict requirement for this facility and that the applicant will have the responsibility of proposing a franchise business they wish to invest in. A franchise is an agreement where the owner of a trademark or brand allows someone else to operate a business that sells their products and/or services under license. The one that issues the licence is called the franchisor while the one receiving the licence to operate is called the franchisee. A great short piece from Inc written by Peter Economy is on the spot for managers! The picture is two of our long serving staff at Chanters Lodge appearing as Guests on our local radio show. No one wants to do the same boring job over and over, day after day. Though a certain amount of routine and repetition is part of almost every job, make sure each employee finds at least part of his or her job highly interesting. As management theorist Frederick Herzberg put it, “If you want someone to do a good job, give them a good job to do.” Find out which tasks your employees most enjoy and use that information when you make future assignments. Information really is power, and your employees want to be empowered with the information they need to do their jobs better and more effectively. And, more than ever, employees want to know how they are doing in their jobs and how the company is doing in its business. Open the channels of communication so that employees are well informed, can ask questions, and can share information. Be transparent, honest, and forthright. Those qualities will have a direct impact on employees’ effectiveness. As the speed of business continues to increase, the amount of time you have to make decisions continues to decrease. Involving employees in decision making, especially when the decisions affect them directly, is both respectful and practical. Those closest to the problem typically have the best insight as to what to do. Involving others will increase their commitment and speed the implementation of new ideas or changes. Few employees want their every action to be closely watched and monitored, or for their every decision to be questioned or micromanaged. Most employees appreciate having the flexibility to do their jobs as they see fit and to make decisions independently. Giving people latitude increases the chance that they will bring additional initiative, ideas, and energy to their jobs. Everyone appreciates getting credit when it is due. Occasions to celebrate employee successes are almost limitless, and you should never let one pass. One of the best and most highly motivating forms of recognition is to give your employees new opportunities to perform, learn, and grow in response to their recent achievements. They will always rise to the occasion, becoming even more engaged, productive, and effective. Nkopola Lodge on the shores of Lake Malawi was the first lodge/hotel which I managed as the ‘in charge’ way back in the 70’s when I was young and green! Not eco green either! What a great experience it was and what a wonderful location. Even in the days of Kamuzu Banda we were ‘where it was at’ and judging from a recent press announcement I saw (below) it is still the case. Water skiing, fishing, mini-sailing or just swimming in the lake……daily…..just imagine the life! “We are proud to announce that we have once again partnered with Sunbird and will be bringing Lake of Stars to the amazing Nkopola Lodge. The venue is situated on the lakeshore road, 22km north of the town of Mangochi in the southern region of Malawi. There is a huge range of accommodation in the area, from five star resorts to backpacker lodges, camping and guesthouses. As well as announced acts Peter Mawanga and Skeffa Chimoto, a host of artists from Malawi, South Africa and the UK will be performing by the lake this September. Our partnership with Proflight Zambia will also allow us to fly some of the best talent in from Zambia, all to be announced very soon. Loved this from Inc Magazine – a ‘must read’ for managers and entrepreneurs. 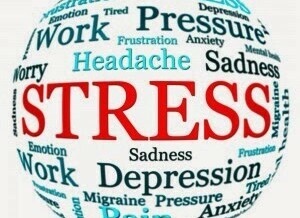 What are you doing to stop the spread of stress around your workplace? “Stress is more contagious than flu, but we don’t take the same precautions,” says Heidi Hanna, Ph.D., author of Stressaholic: 5 Steps to Transform Your Relationship With Stress. 1. Create a place to think undisturbed. 2. Give people your full attention. “If you’re talking to me, and I’m having a side conversation or checking my email, then I’m sending the message that you’re not important,” Hanna says. Unfortunately, because people are connected to so many devices, they wind up sending that message all the time. That’s a good way to pass along stress. Instead, set aside your smartphone and focus all your attention on the person you’re talking with, even if that means you can only speak for a few minutes. 3. Watch out for mirroring. Studies show that people unconsciously mirror the biomechanical rhythms of others around them. That means standing near a stressed-out person can make you feel the same way, even if you don’t say a word to each other. So, when you start feeling stressed, “ask yourself if it’s truly yours or if you’ve picked up someone else’s stress,” Hanna advises. If it does turn out the stress is coming from someone else, you have a choice: Either help that person or limit your time together. 4. Build your relaxation muscle. 5. Get out of that chair! 6. Keep your blood sugar stable. 7. Don’t schedule every minute. Going straight from one meeting or conference call to the next is a sure way to amp up stress. Instead, Hanna recommends 50-minute meetings, ensuring at least a 10-minute break between them. Adding time between meetings allows people to check their email and messages, decreasing the likelihood they’ll do so during the meeting itself. That will reduce their stress as well. Humans are hard-wired to focus on the negative–a survival mechanism from our days as hunter-gatherers. So fight that tendency by redirecting your focus. “I recommend people write down three things they’re grateful for at the start of every day,” Hanna says. 9. Redefine stresses as challenges. Reframing the way you look at a stressful situation can substantially decrease your stress level, Hanna says. “See whatever’s stressing you as a stimulus for growth,” she says. “If you think of it as a challenge, you know you have the resources to meet it head-on.